Sweet, Sweet Sorghum cooked down slowly, over the past four years. Like the precious amber syrup itself, this book is distilled, rich, and deeply satisfying. Like the sorghum cane that grows so well in Kentucky soils, this book is rooted in a place on earth: the Commonwealth of Kentucky, part of the lower midwest/upper south. 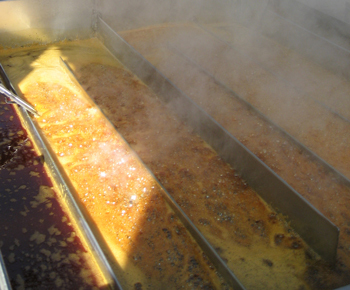 Sweet sorghum syrup, usually called "sorghum" or "molasses," appears on tables all over the world, packing powerhouse antioxidants and nutrients into its dark caramel sweetness. 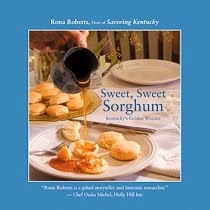 Sweet, Sweet Sorghum includes eight essential recipes, and a sprinkling of "pop-up" cooking and usage tips. Ordered a copy, and can't wait to read it. Congrats on what we know was a labor of love! Terrific! Thank you, Gourmandistan gurus.